In this featured article, executive editor of Enrichment Journal George P. Wood discusses the role of apologetics in pastoral ministry. You can read the synopsis here. Common Objection #20- "Jesus Never Said, 'I Am God, Worship Me!'" "...nowhere does Jesus assert his divinity in these exact words. It should also be noted, however, that nowhere does he state the converse: 'I'm not God - don't worship me!' even though this was the response even of an angel when John mistakenly worshiped him. Yet having said this, the divinity of Jesus is in fact directly stated in at least eight passages of the NT. For example, 'In the beginning was the Word, and the Word was with God, and the word was God' and also, 'Thomas said to him, 'My Lord and my God!'' Further to this, his deity is strongly implied in several other passages. 1. Mark Pickering and Peter Saunders, Is Jesus the Only Way?. References can be found in the original article. “Do nothing that you would not like God to see. Say nothing you would not like God to hear. Write nothing you would not like God to read. Go no place where you would not like God to find you. Read no book of which you would not like God to say, 'Show it to Me.' Never spend your time in such a way that you would not like to have God say, 'What are you doing?'" The Diatessaron: This Greek term means "through four" and is thus a version of the Four Gospels. It is perhaps the earliest form and was complied by Tatian around A.D. 170. No copy of it remains and it must be constructed from secondary sources. The Old Syraic: This form may predate the Diatessaron, but this is not the general consensus. There a two chief manuscripts: the Curetonian and the Sinaitic. Both are copies of the Gospels and both date to the fifth century. The Sinaitic possibly the fourth. The Peshitta: Peshitta means "simple" and this form is a revision of the Old Syriac form. The Sahidic Version: This form is written in the Upper Egypt dialect and dates to the third and fourth centuries. The Bohairic Version: This form is written in the Lower Egypt dialect and dates to the fourth and fifth centuries. 3. The Latin Versions: The first translation of the English Bible was made from these versions. The Old Latin: In A.D. 180 the church in Numidia of North Africa was persecuted. Christians in a small town named Scilium were arrested, put on trial and decapitated in Carthage. The record of the trial indicates that an individual named Speratus had "Books and letters of Paul a just man" in his possession. These were certainly Latin translations as it is not likely that the people in Scilium knew Greek. Other Latin manuscripts were in use in a similar way in other areas of the Roman Empire. The Latin Vulgate: Produced by Jerome. It is the drawing together of the various Old Latin translations into one edition. The Latin term vulgata means "common" or "commonly accepted" and thus it displaced the Old Latin by the sixth and seventh centuries. Mark your calendar for an upcoming area conference on November 22-23. This conference will feature cutting edge Christian thought leaders Brett Kunkle, Jim Wallace, Alan Shlemon, Doug Powell and Nathan Hansen. Come hear 5 engaging sessions that are geared to equip you with answers to some of life’s toughest questions. Here you will find an outstanding collection of resources that deal with common Jewish objections to Jesus. Thinkapologetics.com is an outstanding resource that I encourage our readers to checkout! This lecture was hosted by Biola for a special philosophy lecture and Q&A that was opened to all. For those unfamiliar with Plantinga's work, "he has authored or edited over a dozen books in philosophy, and several dozen more in top-tiered philosophy publications in the U.S. and in the U.K."
He is most well-known for his work on the ontological argument for the existence of God and his evolutionary argument against naturalism. Finally, Plantinga's book Warranted Christian Belief is available online for free here. The percentage of marriages ending in divorce has actually fallen since 2005 to 42 percent. For all marriages lasting over ten years, the divorce rate has barely changed since the 1960s.‘It is the declining rates of marriage which provide the only conceivable explanation of the doubling of family breakdown since the 1980s. The Wintery Knight post can be found here. Sometimes a video doesn’t quite match the message of the song. This is one of those instances, so I’ve included the lyrics for you to follow as you listen. Let me cry "Holy, Holy, Holy"
May this be our daily prayer as we walk with our Lord Jesus. In this article from the July/August 2004 edition of Solid Ground, Greg Koukl discusses reasons to be opposed to hate crime and opposed to hate crime legislation. Here is Pt 4 of Tim McGrew's excellent series on undesigned coincidences found in Scripture. In this featured article, Peter S. Williams demonstrates how archaelogical discovers can help establish the historicity and reliablity of the New Testament. 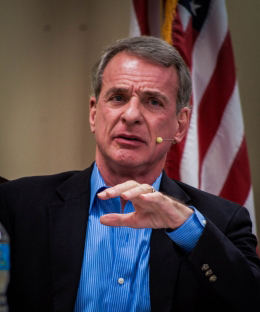 Recently, Dr. William Lane Craig and Dr. Lawrence Krauss engaged in a series of talks entitled Life, the Universe and Nothing. The dialogues were put on by City Bible Forum. During the dialogues both Dr. Craig and Dr. Krauss had a 15 minute opening statement. During Dr. Krauss's opening statement in the third dialogue, he featured a picture of Dr. Craig reading a book from his new series for children entitled, "What is God Like?" Now, Krauss used this as a springboard to attack Dr. Craig's position on the slaughter of Canaanites in the Old Testament; however, the purpose of this post is not to deal with that particular narrative and for those sincerely interested in understanding Craig's position, he has explained it here and here. "You can't touch God because God doesn't have a body. Sometimes people think of God like old man with a long, white beard. But that's not true. He is only spirit. That is why I said, 'God is like a person without a body.'" So, it's seems clear here that Krauss was doing nothing more than attacking a straw-man and that he could benefit from reading Dr. Craig's children book series! Note: I have featured the 3rd dialogue above because I felt it was the best of the 3. Reasons: 1. substantive dialogue 2. best moderator 3. You really get a sense of what separates the two. Further, kudos to Krauss for admitting that Jesus was most likely a historical figure and not buying into the "Christ-myth" nonsense. Here is a great resource offered by Tektonics.org on logical fallacies in argumentation. This article is a great place to learn about fallacies for the first time or refresh what you already know. It is a very user friendly resource. This article is part of Tektonics.org's "Reader's Choice" articles which can be found here. 1. Marriage exists to bring a man and a woman together as husband and wife to be father and mother to any children their union produces. 2. 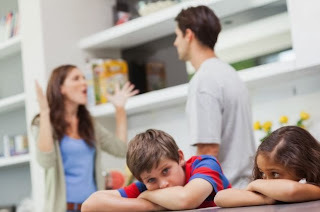 Marriage is based on the anthropological truth that men and women are complementary, the biological fact that reproduction depends on a man and a woman, and the social reality that children need a mother and a father. 3. Marriage as the union of man and woman is true across cultures, religions, and time. The government recognizes but does not create marriage. 4. Marriage has been weakened by a revisionist view of marriage that is more about adults' desires than children's needs. 5. Government recognizes marriage because it is an institution that benefits society in a way that no other relationship does. 6. Marriage is society's least restrictive means of ensuring the well-being of children. Marital breakdown weakens civil society and limited government. 7. Marital breakdown costs taxpayers. 8. Government can treat people equally-and leave them free to live and love as they choose-without redefining marriage. 9. We reap the civil society benefits of marriage only if policy gets marriage right. 10. Redefining marriage would further distance marriage from the needs of children and deny the importance of mothers and fathers. 11. Redefining marriage would put into the law the new principle that marriage is whatever emotional bond the government says it is, weakening the importance of monogamy and exclusivity. 12. Redefining marriage threatens religious liberty. The article can be found in its entirety here. Glover admitted that it would make a difference. 1. The Real Face of Atheism by Ravi Zacharias, p. 135. Would President Obama bomb the Canannites? In this blog post, Tim Kimberley shares his thoughts regarding God's command to slaughter the Canaanites. This blog post is courtesy of Credo House Minisitries. "On this episode of ID the Future, Dr. Stephen Meyer is a guest on the Hugh Hewitt show. 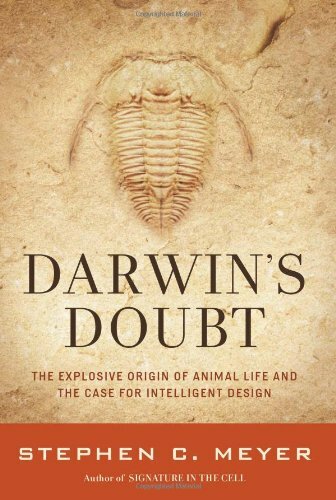 Meyer and Hewitt discuss Meyer's recent New York Times Bestselling book Darwin's Doubt. Meyer walks listeners through the main points of the book, along with other evidence for the theory of intelligent design. Meyer also dispels the myth that there is a scientific consensus on Darwinian evolution. Meyer's eloquent handling of this complex scientific topic makes the nuances of the debate accessible to the general public." “I know for sure that I am going to heaven…I’m better than you, I’m so much better than you that God Himself is eagerly awaiting my arrival in heaven.” Is that what Christians claim when we talk about absolute truth and that a relationship with Christ is the only way to God? Is it arrogant to proclaim that Christianity is true and all other religions are false? Or is it possible that the Christian claim is actually more profound and quite possibly ultimately humbling? Michael Ramsden, with his wisdom and British wit, addresses this topic on Let My People Think from March 24, 2012. Check out the episode here. Frank Turek of CrossExamined.org critiques Lawrence Krauss's book A Universe From Nothing. The Christian claim is simply this: every person stands guilty before God in some measure. Good deeds cannot atone for bad deeds because one already owes God obedient, righteous, moral behavior. Instead, we must seek forgiveness, and since God is the one offended, we must seek forgiveness on His terms. The New Testament teaching is that God’s terms involve Jesus, and a rejection of Jesus is a rejection of God’s forgiveness. One who rejects forgiveness is still in his sin; he’s still under judgment. Here’s a simple way of putting it. One day every single one of us, the morally great and small alike, will stand before God to be judged for his or her crimes, such as they are – some more, some less. Either we pay for them ourselves, or we let Jesus pay for them for us. That’s it. If we refuse forgiveness through Jesus, then we stand alone to endure God’s penalty. That’s the New Testament teaching. There’s nothing bizarre, unfair, outlandish or cruel about it. The only cruelty is knowing this information and withholding it. 1. Koukl, Greg. Is Christianity Cruel? Clear Thinking. Volume 1 No. 1. Page 17. The Codex of Ephraem: Because of the difficulty in obtaining writing materials at times, the ink would be washed or scraped off of old parchments and the parchment reused. This kind of a manuscript is known as a palimpsest; a Greek term that literally means "scraped-again". This codex is a palimpsest and the top layer of writings are sermons of Ephraem of Syria, thus how the manuscript got its name. Tischendorf was able to decipher the Biblical text underneath these sermons. The codex is missing much of the Old Testament, however it contains 145 leaves from every book of the New Testament except 2 Thessalonians and 2 John. The Codex Bezae: Named after Theodore Beza who presented the codex to the Cambridge University Library in 1581. It contains the Four Gospels (with gaps), Acts, and a fragment of 3 John in Latin. It is the earliest example of a bilingual manuscript being written in both Greek and Latin. It often departs from the established text, however it has far more agreements with the Vatican and Sinaitic Manuscripts than disagreements. Alexandrian: Very early and regarded as the best form of the text. Connected with Alexandria in Egypt and represented astutely by the Vatican and the Sinaitic Manuscripts. Byzantine: Related to the Byzantine world of the Middle Ages and found in the vast majority of later manuscripts. Western: Characterized by fondness of paraphrase, textual expansions, and striking omissions. The chapter ends with a brief discussion of lectionaries. These are manuscripts which contain selected passages of Scripture for the purpose of being read during public worship services. Typically of the Gospels, but some are of Acts and the Epistles. Because of their purpose, they were copied a little more carefully than ordinary manuscripts. These will be discussed in more detail later in the book. 2. Alvin Plantinga, Great Thinkers on Great Questions. Here is the third blog post in a series by Tim McGrew on the undesigned coincidences found in the pages of scripture.